"Oh don’t worry, it’s only a vasovagal reaction,” Dr. Marshall said nonchalantly as she glanced over at my gleaming, pale face while I slumped down in her office chair. Her assistant quickly took me by the arm and led me to a different room where she handed me a bottle of water and instructed me to stay seated until I was ready to go back to the exam room. After ten minutes, I shamefully returned to finish watching the doctor inject a long needle repeatedly into her patient’s face. Now, I thought all my future goals and dreams that I have been working toward since the age of twelve had just been popped and deflated by a Botox syringe. How could I aspire to be a dermatologist, let alone a doctor if I couldn’t even watch a simple Botox and filler procedure without getting lightheaded? Nevertheless, I was only slightly deterred after her assistant told me that the same thing happened to her the first time watching the injections and now she is completely immune to the procedure. I was able to watch a couple more women receive hyaluronic acid and botulinum toxin injections into their wrinkled skin. Dr. Marshall explained that the majority of her work centered around cosmetic procedures, so she gave me brochures on Botox and various dermal fillers to look at. The more I read about Botox, the more curious I was to know how a “poison” could safely interact with our muscles and what exactly was going on at the cellular level. After my interesting shadowing experience, I turned to the virtual god of infinite knowledge, also known as Google, to learn more about Botox. I immediately discovered that Botox is actually used as a treatment for a wide array of medical conditions like dystonia, blepharospasm, and spasticity¹ (81) as well as excessive sweating, achalasia, chronic pain, neuropathy, and over-active bladder. But, my personal investment in dermatology and my interest in cosmetics narrowed my search to the use of the specific type of toxin used in Botox which temporarily paralyzes facial muscles contractions, like glabellar lines where wrinkles are prominent. My next step was to obtain a better sense of what Botox is and why it can be used so frequently with minimal consequences. I was also trying to justify why women so readily opt for the frozen clown-like facial appearance that the media and I associate with Botox injections. According to Allergan, its maker, Botox was put on the market in 2002 and since then there have been about 11.8 million procedures preformed in the U.S.² On its website, Allergan published a basic biological model to show how Botox works. As a Molecular and Cellular Biology major with some chemistry background, I was not satisfied with this basic depiction of how Botox works in the body; so I decided to do some more research. I graduated my search techniques to the databases of science heaven: Google Scholar and PubMed. I searched Google Scholar for information about detailed reactions involving botulinum toxin A, which I discovered was the scientific name for the cosmetically used Botox product and found an article that suggested possible mechanisms for this reaction published by the Journal of Cutaneous and Aesthetic Surgery³. I combined the information from this source and from Allergan to reproduce a basic view of the mechanism of Botox in human muscles in the textbox below. But, before I get into the molecular-level detail, I want to emphasize some of basics of the BoNT/A (botulinum toxin A) that I also discovered throughout my research process. 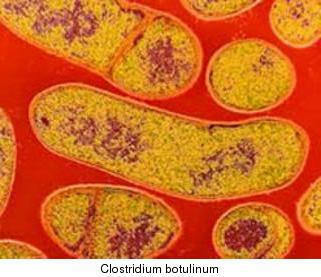 There are seven different serotypes of botulinum toxin produced by the anerobic bacteria Clostridium botulinum. Only the A-Hall strain is used for cosmetic purposes. It is comprised of a 150 kD polypeptide that only becomes an active enzyme after a specific, single disulfide bond has been cleaved by proteases in the fermentation culture4. The resulting polypeptides are a 100 kD heavy chain containing the C-terminus and a 50 kD light chain containing the N-terminus. The heavy chain is necessary for binding and recognition of the cholinergic nerve endings (where neurotransmitters are released) in the muscle tissue into which it is injected, and the light chain is a zinc metalloendoprotease necessary in targeting neuronal proteins and catalyzing the muscle-paralyzing reaction. Mechanism of Action: 1. BoNT/A is injected into muscle tissue and heavy chain binds with high affinity to glycoproteins on acetylcholine axons 2. BoNT/A enters the cytoplasm of the neuron via pinocytosis where it is cleaved by proteases into its active form 3. Light chain binds to N-ethylmalemide-sensitive fusion attachment protein receptors (SNARE) that transport acetylcholine (neurotransmitter) from the cytosol to the neural synapse 4. BoNT/A cleaves one of SNARE’s essential proteins called plasma membrane associated protein (SNAP-25) between Glu residue 197 and Arg reside 198 5. SNAP-25 cleavage prevents acetylcholine-filled vesicles from fusing with the neural membrane so it cannot be released into the synapse 6. Dendrites on the following neuron lack a signal and therefore will not contract. Botox only provides temporary muscle paralysis due to the dynamic nature of our neurons. Depending on the dosage, muscle paresis will occur after two to five days and last for a minimum of three months. Then, new nerve endings will sprout from the neural body that do not contain the toxin. 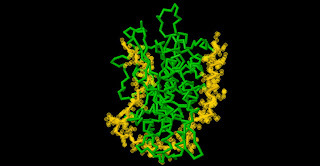 These new endings will eventually retract once the original axons have their acetylcholine releasing activity restored. At this point, I understood the biology behind Botox, but the organic chemistry behind the mechanism was still vague. I wanted to see specific images, and I’m not referring to before and after pictures of 55-year-old women, of the chemical reaction of BoNT/A. I began to get desperate with my search because I couldn’t find mechanistic information about BoNT/A in the cosmetic setting. As I browsed through articles, I realized that this might be because there are still many unknown aspects of how different BoNT serotypes uniquely target different muscle receptors and their respective SNARE proteins. Dr. Moore helped me narrow my focus by recommending that I read about the way that BoNT/A identifies and cleaves SNAP-25. In an article from Nature (International Weekly Journal of Science), scientists Mark Breidenbach and Axel Brunger decided to study how clostridal neurotoxins, specifically BoNT/A, recognize SNAP-25 within the SNARE complex5. 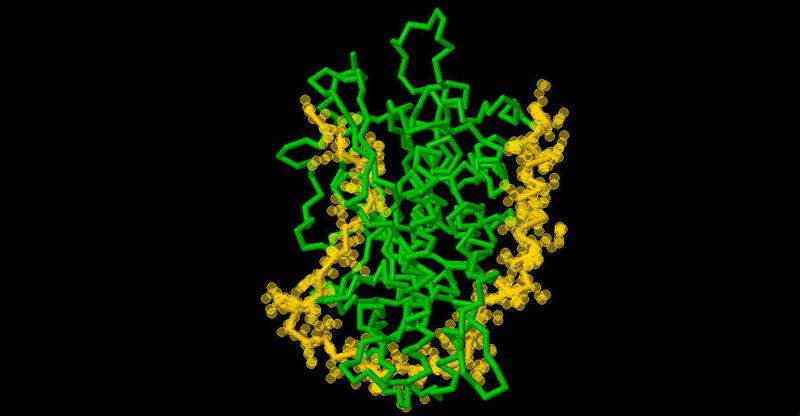 Botulinum toxins were of interest to them because prior to their work it was known that BoNTs utilized exosites (areas of enzyme-substrate binding outside of the active site) to bind to SNAP-25 and cleave it, but there was no concrete evidence to demonstrate these molecular details. They wanted to know where these exosites on BoNT/A were located and how they primed SNAP-25 to be inactivated. Based on their unique findings, they were able to create “the first credible structure of a substrate-bound CNT light chain." Furthermore, their findings highlight the complexity and specificity in which this toxin is able to recognize its target and bind it in various ways to prevent it from interacting with the acetylcholine-filled vesicle in the inner membrane. In order to explain how these scientists went about identifying how BoNT/A recognizes SNAP-25, there is certain terminology associated with enzyme kinetics that they use to justify their conclusions that must be understood. The Km value is a rate constant that indicates the enzyme’s affinity for its substrate. A good enzyme has a low Km because you need less substrate in order to significantly catalyze a reaction. The Kcat value describes the catalytic rate of a reaction which tells you how many substrate molecules each enzyme converts to product molecules. When you divide the Kcat value by the Km value, you get a value for enzyme efficiency, which implies how quickly and enzyme can bind its substrate, catalyze the reaction, and then release the products so that a new substrate molecule can bind to the active site. They discovered three regions of prominent secondary structure (basic level of protein folding) in sn2 when bound to BoNT/A. These regions include a distorted a distorted α-helix, an extended β-sheet, and a distorted β-sheet conformation. These findings credited them with the first depiction of an allowed stereochemical interaction between the two proteins. Next, their study goes on to describe the two key exosites in BoNT/A that include these regions of sn2 structure. The α-exosite was identified via its interactions with the hydrophobic region of the amphipathic sn2 helix. When they mutated hydrophobic sn2 residues, they weren't able to efficiently interact with BoNT/A, reducing their enzyme efficiency (kcat/km) by reducing enzyme-substrate affinity (high Km). The β-exosite of BoNT/A is located at the carboxy terminal end of sn2, containing a distorted, three anti-parallel β-sheet conformation. Two of the beta sheets contribute to a hydrophobic pocket formed by the "250 loop" and a "370 loop" of the BoNT/A light chain that packs in a methionine residue in sn2. The 250 and 370 loops of sn2 are relevant because they demonstrate the greatest conformational change upon enzyme-substrate binding which initiates substrate cleavage. The remainder of the β-exosite is characterized by backbone interactions and Breidenback and Brunger concluded that it is not very substrate-specific, but catalytically necessary since mutations in the beta exosite produced higher kcat values. Furthermore, any truncations after the Met residue result in insignificant enzyme catalysis by the light chain. The remaining portion of the sn2 protein that resides between the two exosites is mostly in contact with the BoNT/A protein, with only a small part of the molecule detached from the neurotoxin surface. Right before the β-exosite, the scissile bond between amino acids Glutamine 197 and Arginine 198 of sn2 passes directly through the BoNT/A active site, exiting in a constrained conformation. The active site contains a key zinc residue that catalyzes the breaking of the peptide bond. Lastly, the overall recognition mechanism based on kinetic data allowed Breidenback and Brunger to hypothesize how BoNT/A efficiently identifies SNAP-25. In the picture below, BoNT/A first binds to the α-exosite then wraps around the active site through various anchor points of non-covalent interactions, and finally induces a structural change upon binding the β-exosite. Notably, sn2 is entropically constrained in this position, but because the interface interactions between the two proteins are so extensive, they probably favorably outweigh the entropic loss. The discovery of these exosites has profound implications for finding a botulinum toxin inhibitor. BoNTs have been classified by the Centers of Disease Control as one of the six highest-threat agents for bioterrorism, and although it is not the immediate concern of the US government, it could lead to other discoveries of inhibitors for similar mechanisms. Nonetheless, as any scientist will tell you, this blog post only described my superficial insights into how one serotype of clostridal neurotoxin works to inactivate muscle contraction. If you would like to learn more about BoNT/A substrate recognition, I am posting a link to a more in-depth article that analyzes the active site residues and provides more data of binding efficiency based on light chain derivatives. I hope this instigated some readers to think a little bit more about what exactly goes on behind a seemingly quick and easy beauty procedure and how one bacterial enzyme can have such vast consequences on the human body. ¹Cheng, Christine M. "Cosmetic Use of Botulinum Toxin Type A in the Elderly." 2007. Web. 3 May 2012. <http://www.ncbi.nlm.nih.gov/pmc/articles/PMC2684082/pdf/cia-2-81.pdf>. ³Wollina, Uwe. "Botulinum Toxin: Non-cosmetic Indications and Possible Mechanisms of Action." PubMed Central. Journal of Cutaneous and Aesthetic Surgery, Jan. 2008. Web. 4 May 2012. <http://www.ncbi.nlm.nih.gov/pmc/articles/PMC2840887/?tool=pubmed>. 4Waugh, Jacob M., Jane Lee, Michael D. Dake, and Dan Browne. "Nonclinical and Clinical Experiences with CPP-Based Self-Assembling Peptide Systems in Topical Drug Development." SpringerLink, 2011. Web. 4 May 2012. <https://springerlink3.metapress.com/content/u884h84r40306261/resource-secured/?target=fulltext.pdf&sid=dg1q0m2odwbcro3rg3mwik1o&sh=www.springerlink.com>. 5Breidenback, Mark A., and Axel T. Brunger. "Substrate Recognition Strategy for Botulinum Neurotoxin Serotype A." Nature, 16 Dec. 2004. Web. 4 May 2012. <http://www.nature.com/nature/journal/v432/n7019/full/nature03123.html#/author-information>. 6"Catalytic Mechanisms of Zinc Enzymes." Catalytic Mechanisms of Zinc Enzymes. Web. 04 May 2012. <http://swift.cmbi.ru.nl/teach/B2/tln/chapter31.html>. I thought your topic was very interesting and you did a good job of introducing it through a personal experience. 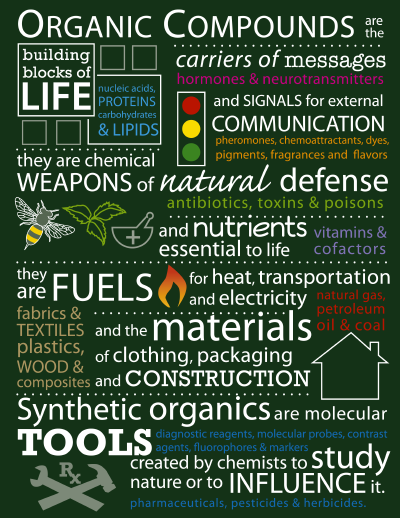 An improvement for the blog would have been to add definitions for a couple of the terms used near the end of your blog where you describe mechanisms and chemical structures. Other than that I found this blog really interesting. I know you probably didn't want to write too much more but it would be interesting to see the negative effects botox procedures can have and what would happen if the mechanism were to go wrong. I like that you used figures and pictures to help explain what was going on with the mechanisms and how botox works with the nerve endings. I agree with Lauren about the addition of some definitions for some of the stuff at the end, it was kind of hard to read it all and understand it on the first time. Otherwise I really enjoyed your topic and think that you did a great job!